Recruit, Onboard, and Manage all of your Employees in one place with a single login. Hire to Retire Talent Management platform. So why should you use or switch to AutomotoHR? Maintain all of your Companies pertinent and legally required hiring information, government compliance forms and data all in one place, with a single secure log in. Complete easily managed Onboarding process. AutomotoHR Wins 2018 AWA Award For "Dealership Management Tool"
PCG is pleased to announce that AutomotoHR has won a 2018 AWA Award in the Dealership Management Tools category. AutomotoHR is a complete HR management system, for both large and small dealerships. It targets and tracks top automotive talent through visibility on 100s of job boards, and includes the building of a professional, branded career website and micro-sites to enhance the candidate experience and share quality information about the dealership. AutomotoHR allows managers to schedule, interview, and hire with ease; as well as document all communications. 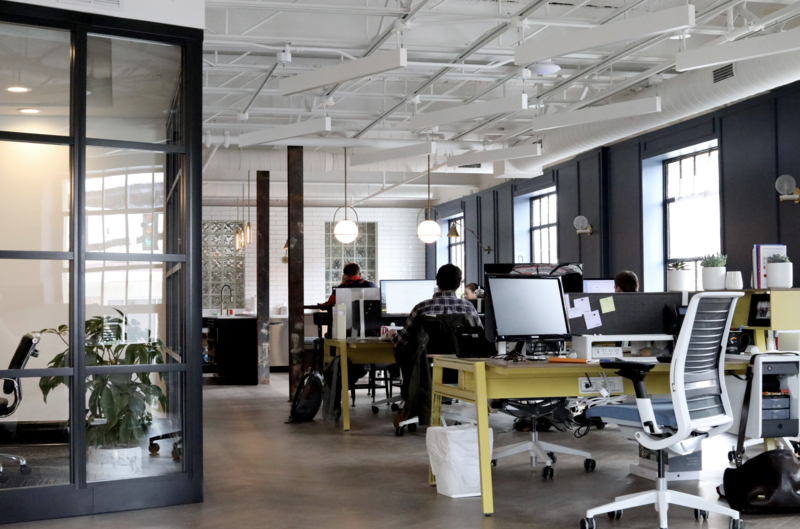 The platform ensures EEO and OFCCP compliance with a full audit trail and can be used to ensure the onboarding and training process are followed. Inter-office communications and day-to-day activities in the service drive, showroom, accounting and HR departments can often verge on chaos. Winners of the Dealership Management Tools category help to automate and track processes to help the dealership run more smoothly and efficiently. 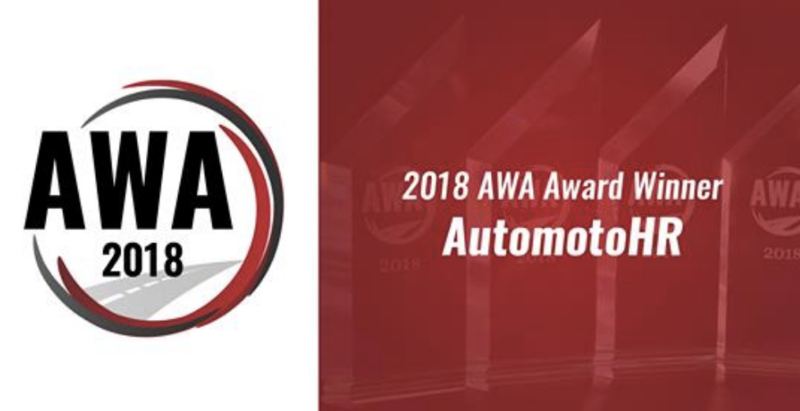 We congratulate AutomotoHR for being named a 2018 AWA winner in the Dealership Management Tools category, and thank them for participating in this year’s review process. Get everything you need to target, attract and hire the top talent with a best-in-class candidate experience. Includes all the recruitment, HR and hiring marketing capabilities you'll need. Provide a modern, mobile user experience that your hiring managers will embrace to easily collaborate and close the best candidates. Run the entire HR platform your way. Manage your Talent acquisition through an open and configurable secure cloud based platform for all of your processes, partners and integrations. AutomotoHR is designed to be your one-stop shop, for all your HR and hiring needs. Easily manage your job postings and advertise on the places that matter. Then manage all your candidates in one place. Run and manage Assessment and Background checks without leaving the system. Everyone is incredibly frustrated by how hard it is to find & manage amazing talent. Get the word out about your job opportunities and be seen by Millions of interested jobseekers every day. Your career website. Your company Facebook page. Any job board. Then manage all your Candidates in one place. Make referrals from your social networks. Then manage social referrals in one place. Know your top referrers across all jobs. Let candidates easily apply and communicate with you directly through the system. Mobile Optimized for hiring on the go. Candidates can register through your Talent Network to stay in the loop. Hiring is a team sport so hire together. Invite colleagues and recruiters to your hiring team. Perform assessments directly from our platform. Get at-a-glance insights about your jobs & candidates. Dive into real-time analytics & compliance reporting. Tap into our pre-integrated job board partners, assessment vendors, Background and Drug Testing integrations, and leverage our open API.